Incense of Music 33, Maresca Manual for Errors Quartet | PANDA Theater e.V. Manlio Maresca and Manual for Errors Quartet. Incense of Music Nr. 33 brings an Italian jazz guitarist and his band inspired by errors together with scents from Chile and Australia, Boldo and Sandalwood. Idea global, location is Pandatheater, an evening for the senses. For guests who are particularly sensitive to smoke, this event is not recommended. Glorification of errors is the basis for Manlio Maresca’s Berliner Band, acclaims refined music wrongness. 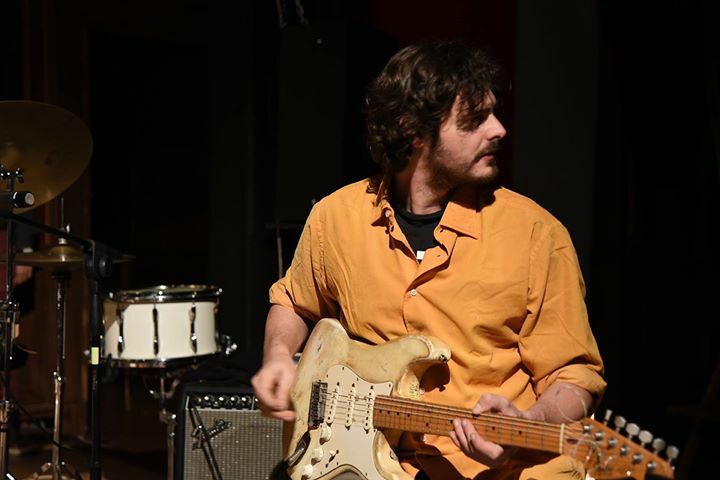 The Italian guitar player leads Manual for Errors, a project featuring , Eldar Tsalikov (alto sax), Igor Spallati (double bass), and Ugo Alunni (drums). The composition area he works in lets the margin of error be the foundation of a revolutionary creative discovery. Extemporary music inspirations rule an accurate research of a “sound mistake” within a well-defined jazz structure.